Product code: 00032 Categories: Weddings, Wedding Rings, Men's Wedding Rings. 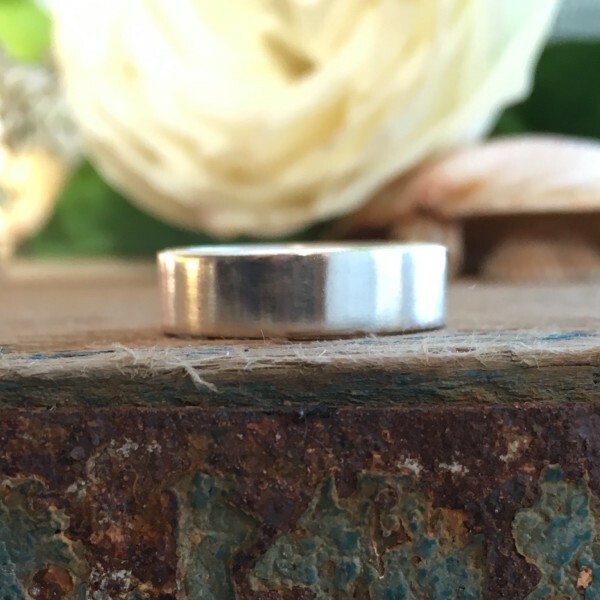 This 5 mm recycled silver square band ring is hand made and finished to your choice. It is a very traditional simple band ring with a square profile which is timeless. It is approximately 1.65 mm deep which makes a substantial but comfortable to wear ring, without being too heavy. These rings are individually hand made by me, using traditional tools and techniques. 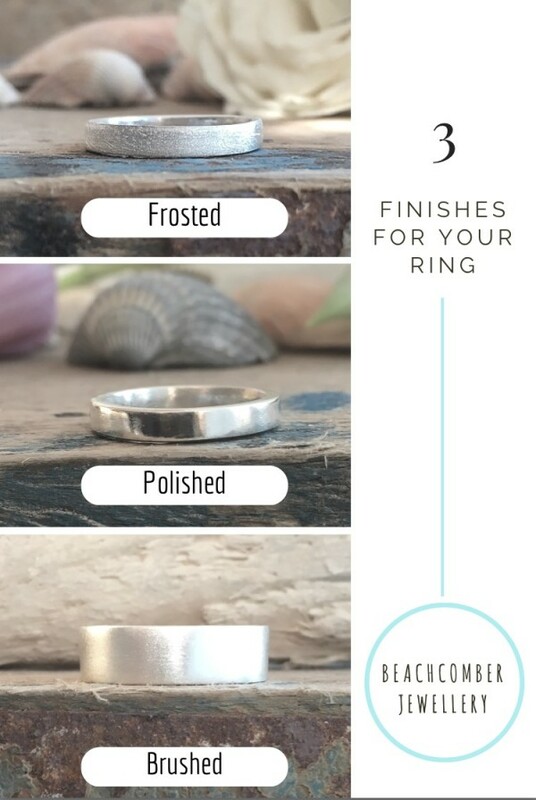 Your ring will be finished to your choice – either a polished shine, a brushed satin, or a frosted effect. 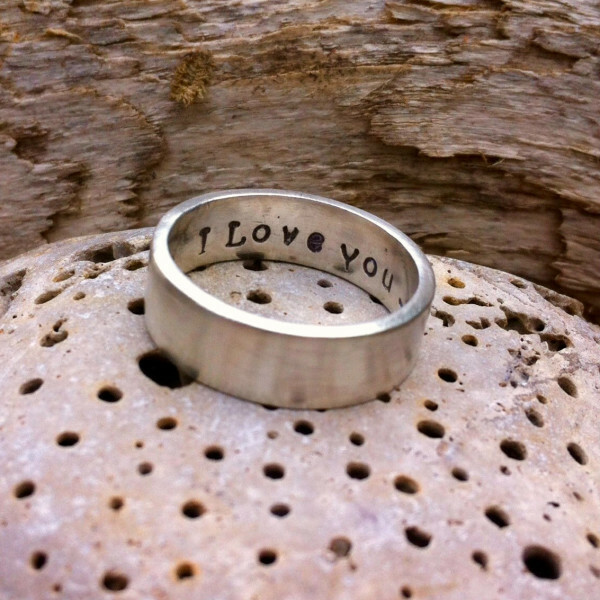 You can choose to have a secret message hand stamped inside the ring. Your message can be up to 22 characters including spaces. 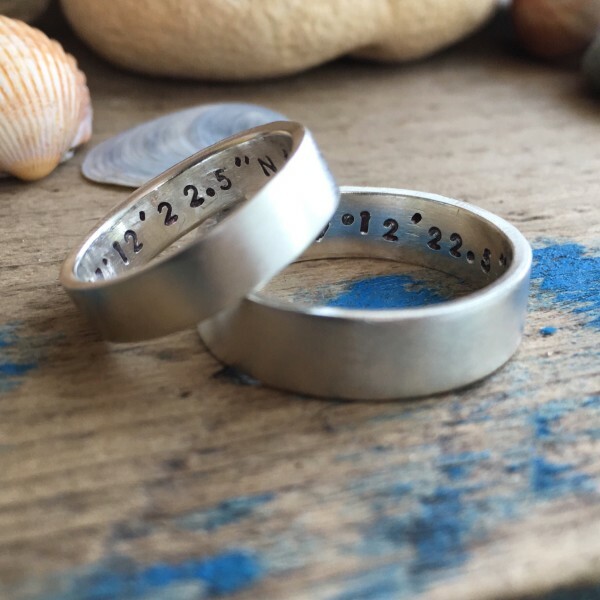 It can be a romantic message, the names of loved ones, your special date, the latitude & longitude of your favourite place. Let your imagination make your ring unique. Please let me know in the order notes at checkout what message you would like. Please note that the message is hand stamped, not engraved, and may not be perfectly aligned. You can choose to have your ring delivered a cotton drawstring bag or a recycled box. Your ring will be made to order and hallmarked at the Edinburgh Assay Office. Please allow four to five weeks for delivery, this may be more at busy times, but I will keep you updated.